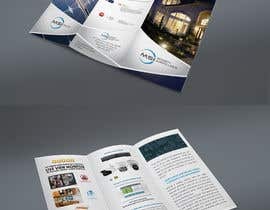 I've got a sales flyer "MSI Brochure front" and "MSI Brochure Back" that I need redone and made to look good. It's an 11.5" by 8" trifold. Most all the information and pictures are where I want them. I'm looking for someone with the artistic touch to make it look clean, professional, and modern. There will be more work for the winner. *** the files "MSI Brochure front" and "MSI Brochure back" are the files to copy. The rest are images you may need. Please check Entry #73 by Zia H.
Hi. Design underway. Please keep the contest open till the deadline. Thanks. For the reviews section - you'll need to redo the wording to clean it up. Dear Contest Holder, I am working on this contest. Please wait till i submit my entry. Thank you. sir can tell desire color scheme ? gray white black is ok? On the back (Solar side) middle section. Try blowing up the overview image of the neighborhood to fit the entire section. Then create a partially transparent white section to help the working stand out. Regarding the logo: center the words with the logo. For example, on the security and surveillance side, shift the words down. On the solar side, shift the word solar up. the picture of the house at night, zoom it in so that you don't see any sky or tree's. sir pls check #28 entry and give me feedback. Hi, work in progress. Please wait for my entry. I just noticed that the file types for "MSI brochure front" and "MSI brochure back" were PDF and not PSD. 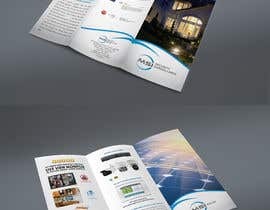 I've attached the PSD files however for "MSI brochure front" i had to remove the image house at night because I can only upload a 20MB size file. Hi! 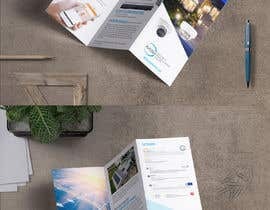 do you have a PSD file of the flyer?